PARIS Airbus signed its biggest deal ever on Monday, an order from Indonesian's Lion Air worth 18.4 billion euro ($24 billion) that President Francois Hollande said should inspire the struggling French economy and all of Europe. The CEOs of both companies signed the contract for 234 planes in a ceremony at the French presidential palace, a sign of its importance to the government. 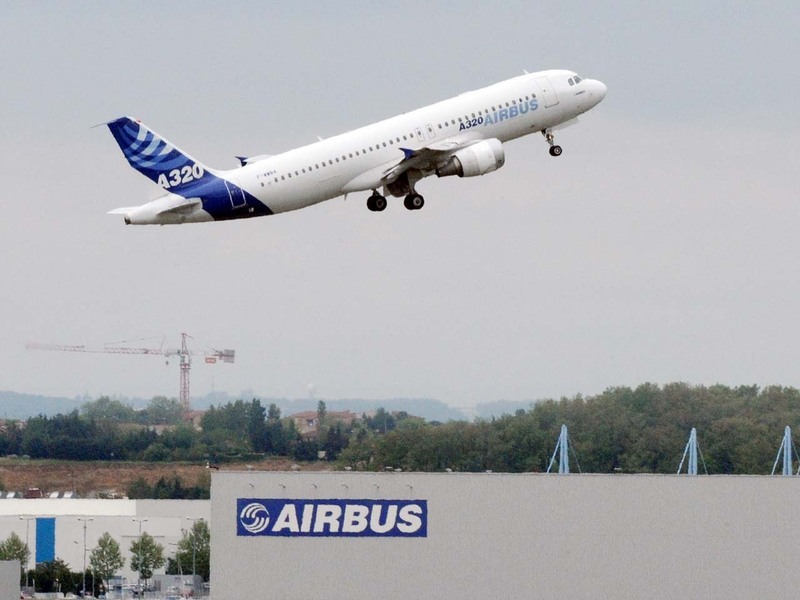 At a time when layoff announcements are streaming out of French companies and unemployment is over 10 percent, Airbus said the manufacturing of the planes would happen in France and would involve 5,000 employees there. "Airbus is a national and European pride, one of the pillars of our economy," Hollande told reporters. "The big Airbus contracts are an example for our economy, what it can do, what it must do." Lion Air is buying 169 A320s and 65 A321 jets. The first planes will be delivered in 2014 and most of them will be outfitted with new, more fuel-efficient engines. The airline is a major player in the Indonesian market and also gave Boeing its largest-ever order when it finalized a deal last year for 230 planes from the Chicago airplane manufacturer. Boeing is the archrival of Airbus, which is the civilian aircraft business of the European aerospace and defense company EADS. Some of the planes Lion Air bought from Boeing are the direct competitors to the aircraft it is buying from Airbus. Both companies receive significant state support that is key to their success. That support is both financial -- France, Germany and Spain are all shareholders in Airbus parent EADS -- and more intangible, like Monday's use of the Elysee palace to hold a press conference. Hollande said the success of Airbus should also inspire European countries to cooperate in other sectors. France, Germany and Spain are all shareholders in EADS and hold significant sway in it. "Our ambition at the European level isn't to just continue the great EADS adventure but to also conceive of other EADS for other economic sectors with our European partners," he said. "Europe isn't just a market. ... Europe is also an industrial ambition." The announcement comes as France is trying to convince companies that it is a viable center of manufacturing and persuade them to move or at least keep factory jobs there. The government touts its educated workforce, significant government support for research and sophisticated infrastructure. But making anything in France is expensive -- in large part because the cost of labor, including salaries and benefits, is so high. Also, some companies fear that it's too hard to fire French workers when things get tough and are instead eyeing countries like Spain, which has recently overhauled its labor rules and can offer some of the same advantages as France. Despite these challenges, France has nurtured some "national champions," as it calls them, of which Airbus is one. Making airplanes -- or nuclear reactors or new drugs -- takes significant investment over a long-term, and governments can often provide private sector companies a leg-up. France has a sophisticated system in place to do just that, taking direct shares in companies, investing in research in strategic sectors at state labs and using its tremendous buying power. Lion Air is a low-cost carrier that holds about a 45 percent market share in Indonesia, a sprawling archipelago that's seeing a boom in both economic growth and air travel. Dozens of airlines have emerged in Indonesia since it deregulated its aviation industry in the 1990s, making air travel affordable for the first time for many of the country's 240 million people, and luring passengers away from ferries and trains.